High winds and arctic air are in the forecast for the Washington, D.C., region this weekend -- the coldest period so far this winter. D.C. Mayor Muriel Bowser declared a cold emergency through Monday morning. Multiple shots of arctic air are sweeping across the area, with brutal cold engulfing the D.C. area Saturday night through Monday. The emergency declaration authorizes the city to use additional measures to help homeless people at risk outdoors. Saturday will start off dry, but as much as an inch of snow in the evening could affect Valentine's Day dinner plans. The D.C. government will deploy more than 200 snow trucks to help clear roads starting early Saturday afternoon, but use caution when driving because roads could be slick. Bundle up if you're going out Saturday night; temperatures will range in the 20s, but wind chills will make it feel like single digits with parts of the area under a wind chill watch. The area also will be under a high wind watch from late Saturday into Sunday morning, with the potential for 60 mph gusts. Downed trees and powerlines are possible. 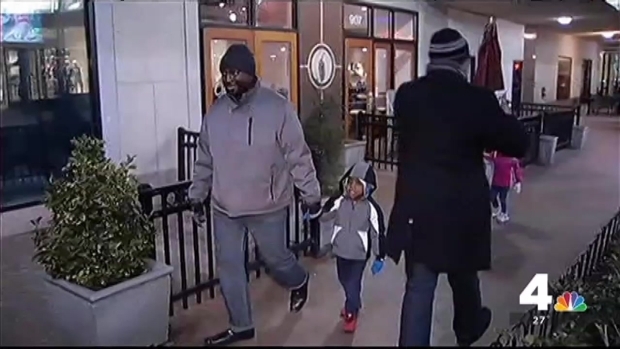 News4's Shomari Stone reports from Georgetown Friday night, where people are bundling up ahead of even colder wind chills expected Saturday. If you were planning on running the George Washington Birthday Classic 10K in Alexandria Sunday morning, don't: Organizers have canceled the event due to the bitter cold. By 8 a.m. Sunday, dangerously low wind chills will make it feel minus 5 degrees in D.C., and in some rural areas the wind will even feel like 20 degrees below zero. Temperatures may rise slightly by noon, but by 5 p.m. could fall back below zero. Winds will ease up slightly on Presidents' Day, with a high of 25 degrees; though it will still be breezy during the day. Tuesday and Wednesday expect temperatures to rise slightly with highs in the 30s; there is a slight chance of snow. By Thursday, bitter cold may return again.